Deyor Camps makes it ridiculously simple to discover, verify and book campsite holidays in India, so you can finally ditch that hotel room in favour of a unique accommodation experience instead. Gurgaon-based Deyor Camps has curated an extensive collection of camping holidays all over the country. Think Coorg, Jaisalmer, Kutch, Pangong or even Ladakh and you’ll find out-of-the-way holiday ideas. Check into a Swiss tent, serenely hidden away inside a forest in Munnar or switch out hotel for hut at the beautiful campsite in Coorg. In a bid to organise the adventure travel market and make booking offbeat holidays and experiences easier, Deyor Camps is currently operating in 70 destinations across India. What’s next? Setting up campsites in the north-east. We love that details about each campsite are offered to travellers so there are no surprises when you check in. Running hot and cold water, Wi-Fi, power back up, any food related concerns – whatever your camping questions, they’re all answered before you make your booking. Has deep sea diving been on your bucket list for as long as you can remember? 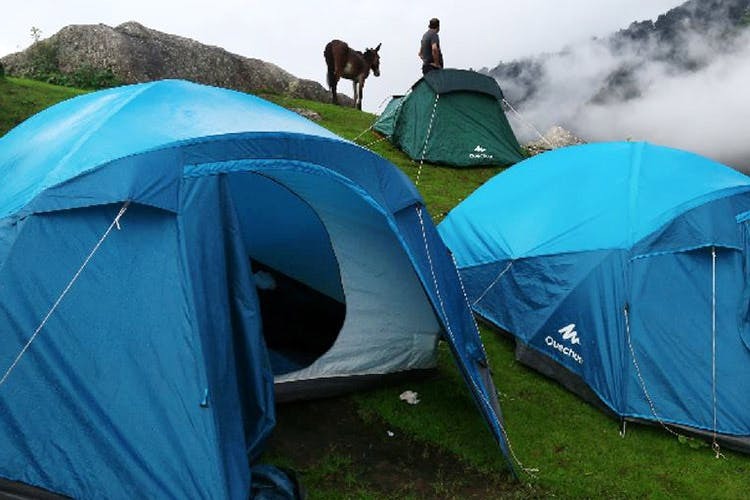 How about completing the Triund trek in McLeodganj? Deyor Camps is also great for finding and booking activities, so whether you’ve been meaning to go up, up and away in a hot air balloon or take the plunge and go bungee jumping in Rishikesh, they can hook you up. Explore the road less travelled with these offbeat holiday ideas.